The Brother DCP-117C is a great printer for those everyday printing jobs. Sooner or later your Brother DCP-117C will use all of your printer ink, and when it finally happens you'll quickly come to realise that buying Brother DCP-117C ink is typically very expensive. Thank goodness you have no need to be concerned about forking out the steep costs you'll get on the main street because here at Cartridge Save you can buy all the Brother DCP 117C cartridges you'll need at tiny prices. Save more money on your ink by ordering with Cartridge Save! Why pay more to get the DCP-117C original cartridge or DCP-117C compatible ink in the high street when it is easy to save your hard earned cash shopping with Cartridge Save. You have full satisfaction by purchasing DCP117C ink cartridges from us as they all are covered by a no quibble money back guarantee. Don't forget to take into account that each and every purchase also comes with free delivery, usually arriving on your doorstep on the next working day! A printer really should offer more than its name suggests. Over time, the tasks a printer can undertake have grown and this is why the Brother DCP-117C is in such high demand at the moment. But is the Brother DCP-117C the right printer for your small office space? Here is a brief guide to everything the Brother DCP-117C has to offer. Put simply, the Brother DCP-117C is very well put together. The overall look of the printer is hugely impressive and clearly the team over at Brother have put a lot of thought into the style and shape of this printer. A tough, rugged yet charming finish and a handy user interface are all present in the Brother DCP-117C. The Brother DCP-117C is a bit of a workhorse, even though it is actually pretty pleasing on the eye. This is a rare mixture of style of substance which any small office space could benefit from. Print outs are also very impressive and the quality of text documents in particular render the DCP-117C printer worthy of its price tag. I suppose the only drawback to the Brother DCP-117C is that an office of medium size or larger will have greater needs than those which the Brother DCP117C can meet. 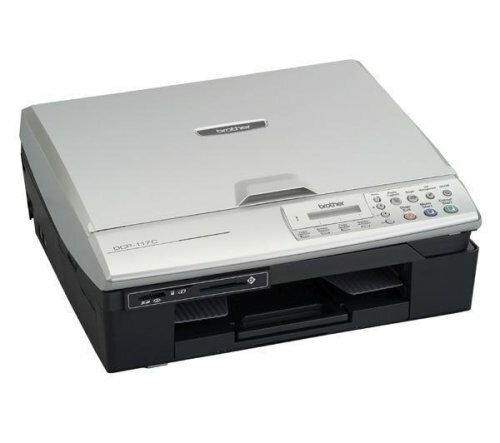 That being said, it's the perfect addition to any small office and should you be looking for a printer for your workplace, the Brother DCP 117C deserves consideration.